Oily Skin? 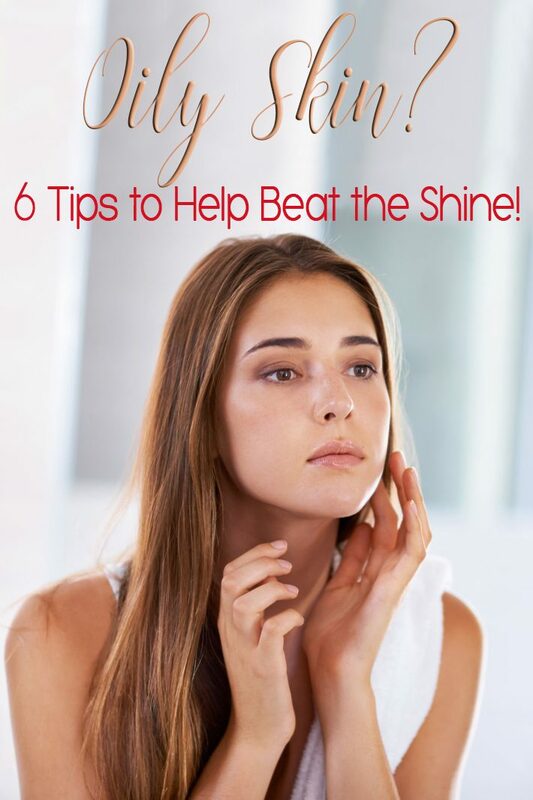 6 Tips to Help Beat the Shine! Whether it’s the weather, genetics, or hormones, we all get a little extra shine on our faces at times. 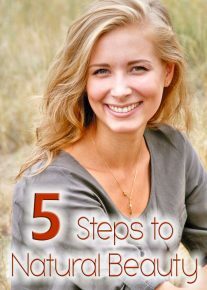 Here are six essential tips to keep oily skin under control. Oily skin occurs when sebaceous glands produce a high level of sebum (oil) on the skin. Often, people with oily skin have large pores, and are more prone to acne as well as shine. Anyone who’s ever experienced greasy or oily skin knows that it can be frustrating to deal with at times. But if you have oily skin, don’t fret too much, because there is one major positive to having naturally oily skin – it’s less prone to looking wrinkled than dry skin. The oil keeps skin moist, which keeps the appearance of wrinkles at bay – always a good thing! As far as the cause of oily skin, there are many reasons our skin can get a little shiny from time to time. If you live in a tropical climate, there is natural humidity in the air, making it easy for your oil production to go into overdrive. And, if you enjoy a dry climate, you may still experience oily skin because you’re genetically predisposed. Oily skin could also be due to hormonal changes (which are most often seen in a person’s teens/early 20s). 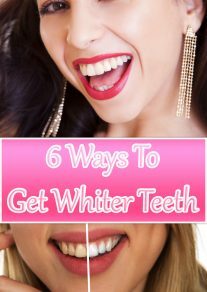 You could also have combination skin – meaning that some areas of your face are oily, and some are dry. Regardless of the cause of your oily skin, there are ways to mitigate the shine and make your skin appear more matte. Clean skin is important when trying to combat unwanted oil. We need to wash away excess oils with a cleanser that is specifically formulated to do just that. Herbalife SKIN Polishing Citrus Cleanser is the perfect choice as it is clinically tested to show a reduction in the skin’s sebum after just one use. * Cleansing every morning and evening before bedtime is important. And with the fresh citrus scent and cleansing micro beads, ridding your skin of excess oils can be fun! Something as simple as carrying oil blotting sheets and tissues can help you control shine throughout the day. Oil blotting sheets are an inexpensive way to mop up excess oil on your face and give you a matte look for hours after you’ve cleansed. Hair can be beautiful when you leave it down, but it can also exacerbate oily skin. If you have oily skin, try to keep your hair out of your face as much as possible to prevent clogged pores and excess shine. (This is especially true if you have long bangs, so be sure to keep your hair clean and cleanse your forehead thoroughly!) For longer hairstyles consider wearing in a ponytail at bedtime to keep the hair off of your face, shoulders and back. This one is a classic beauty tip – don’t touch your face. Sounds simple, but it’s easier said than done! Every time you think about touching your face, remind yourself that you could be transferring impurities to your skin with every touch! And those impurities are likely to turn into breakouts. Yuck. Hands off! If you use cosmetics, look for those that are oil-free or water-based, as they won’t encourage excess oil production. What’s even better than oil-free makeup? No makeup at all. Be brave and face the day with a naked face! Take the 7-day challenge with Herbalife SKIN to see a significant improvement in your skin’s appearance…without makeup. Our clinically tested Herbalife SKIN products show that skin looks and feels softer and smoother in just seven days, including improving radiance and glow and diminishing the appearance of fine lines and wrinkles. Good skin starts with good habits. If you have oily skin, consider adding an extra step to your beauty regimen – a mask! Clay masks with mint are great for removing impurities and decreasing the visibility of the pores. They are perfect to add to your regimen 1 to 3 times a week as needed. The Herbalife SKIN Purifying Mint Clay Mask is amazing and improves the appearance of pores after just one use. Remember, no matter your skin type, a consistent skin care routine is key. Treat your skin well and it will treat you well in return!